Hello, something a bit strange for me today, if you are a twitter follower you may have noticed that one night I got a little bored and wanted to do something a bit different so I dug out a resin (Finecast) Space Marine in Mark 1 "Thunder Armour" from the Armour Through the Ages set that Games Workshop released about 3 years ago, why a Finecast and not the metal equivalent? 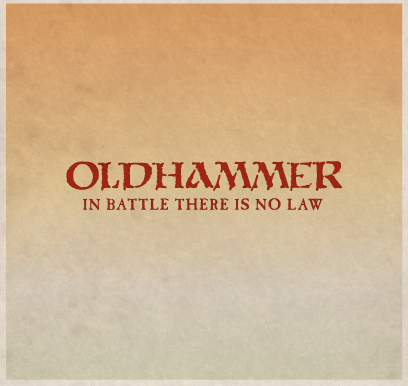 well I wanted a quick start minimal prep, as you are well aware resurrecting your Oldhammer miniatures takes time, stripping, cleaning up oxidation, etc, etc I wanted an immediate start and prepping this one took about 5 minutes. I believe this was designed by John Blanche, sculpted by Jes Goodwin and released in 1990. 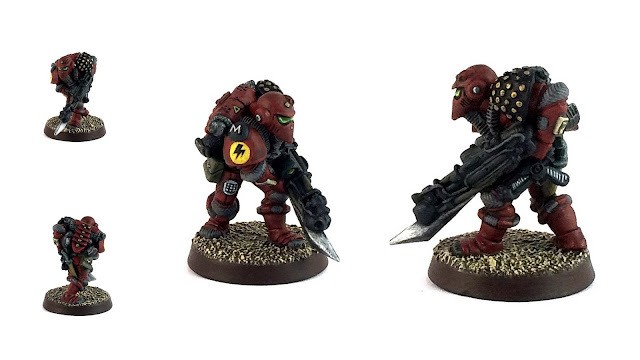 There were two versions of this miniature, this one is armed with a primitive bolt gun and sword, the other a Power Axe/Pole Arm type weapon. I really wanted to achieve a Techno-barbarian feel and went with Imperial Roman palette, plenty of browns and tans while leaving the shoulder pads black to tie him in with the small Flesh Tearers project I have on the backburner. I was going to stick on a proper old school metal back pack but it looked to small and didn't sit right so I went with the one supplied and as it was also resin it took 2 minutes to magnetise with tiny rare earth magnets, this modification made it a lot easier to paint. Mark I plate was developed by the techno-barbarian factions that dominated Terra prior to the Emperor's ascendancy. 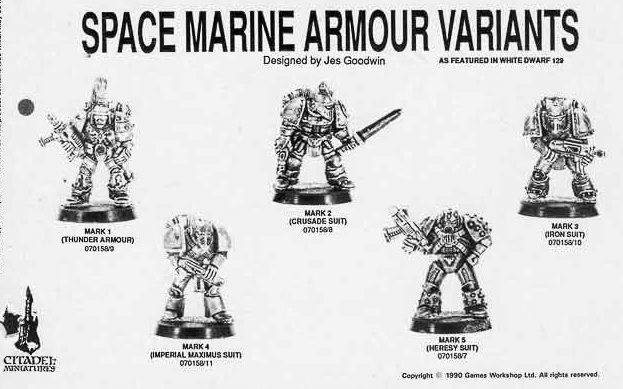 When the Emperor began his conquest of Earth, the "Thunder Warriors", the proto-Space Marines which formed part of his retinue, were armoured in the same way as the soldiers of the other warlords. 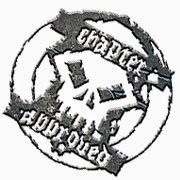 A thunderbolt and lightning symbol was displayed on the breastplate of warriors loyal to the Emperor - this was the personal badge of the Emperor in those days, predating the Imperial Aquila which only became the symbol of the Imperium much later. The emblem gives the suit its common name – "Thunder Armour." Thunder Armour was not an enclosing suit and offered no life support functions, being unnecessary while the fighting was confined to Terra and the similar environments of Luna and Mars. This early armour was produced on a completely local basis and as such individual suits varied heavily and their exact designs were often a matter of personal taste. The main part of the armour is the massive powered torso which encloses the chest and arms. Coiled energy cables beneath the armour plating transmit power from the power pack on the back to the arms, greatly increasing physical strength by a factor of between 3 and 4 times. Since fighting on Terra during this period was primarily close-quarters, the strength of a warrior's chest and arms was of paramount importance. The legs of this armour Mark are typically not power-armoured at all, but are enclosed in tough padded breeches. The best-equipped warriors sometimes wore armoured greaves and armoured boots, and such additional protection was common amongst the Thunder Warriors. As with all powered armour, the power supply is contained with a notably bulky back-mounted unit, most of which is taken up by cooling systems designed to prevent the entire armour design from overheating. 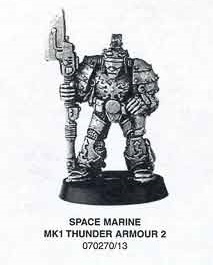 Although it is very rarely used in the 41st Millennium, some suits of Thunder Armour are maintained for ceremonial purposes. This ancient style of armour is noticeably noisier than later Marks. Space Marine in Mark 1 "Thunder Armour"
Thanks for stopping by, I hope you enjoyed this miniature. 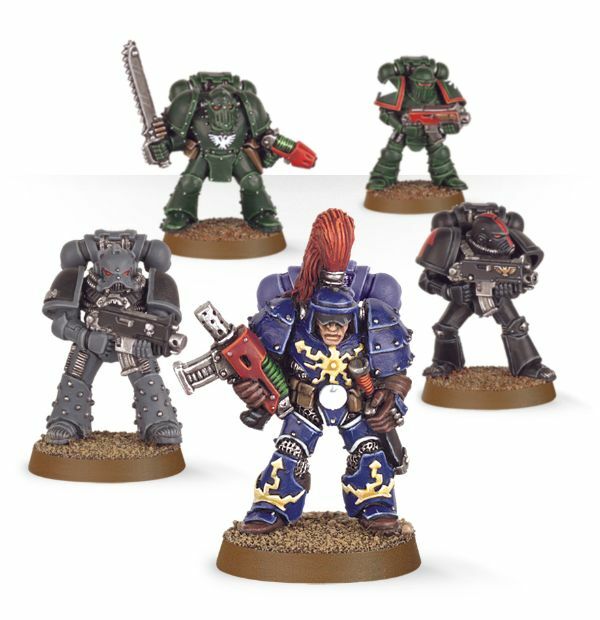 I do like the Thunder Armour design, probably more as a techno-barbarian than as a marine really. 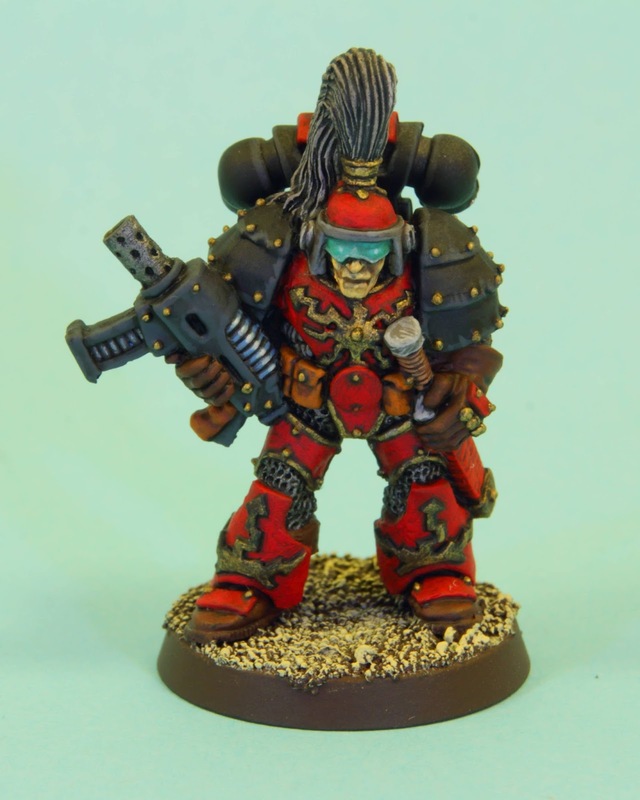 A wonderful job on a fantastic miniature. I particularly like the way you painted his visor. I know it's such a small part of the mini, but it's very eye-catching. Well done, Jason. Thanks for posting! Always cool to see classic models like this one.